April Sound Country Club, a member of the national ClubCorp Family, is observing 11 years of giving back to the community through its annual ClubCorp Charity Classic, and Young Texas Artists (YTA), a Conroe-based nonprofit, is observing 35 years of helping advance careers of young classical musicians in Texas. Together they will celebrate and support the new, multifaceted 2018 April Sound Charity Classic & Fun Day. A full day of activities will be devoted to raising funds for Augie's Quest, to help win the war against ALS; the Employee Partner Care Foundation, to help ClubCorp employees in times of need; and Young Texas Artists, whose annual music competition continues to help produce many distinguished professional musicians. 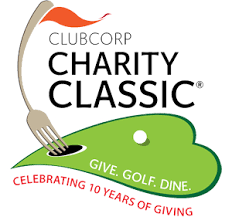 Festivities for the Charity Classic & Fun Day include a cook-off, kid's zone, beer and wine garden, golf tournament, ladies relaxation station, silent auction, Lincoln test drives and, to top it all off, a party on the patio on Saturday evening.